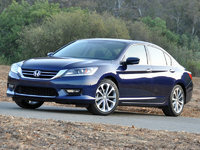 CarGurus has 74,709 nationwide Camry listings starting at $1,050. A heritage of dependability and reliability is how the Camry became such a powerhouse, now in competition with only the Honda Accord for the crown of the bestselling car in America. 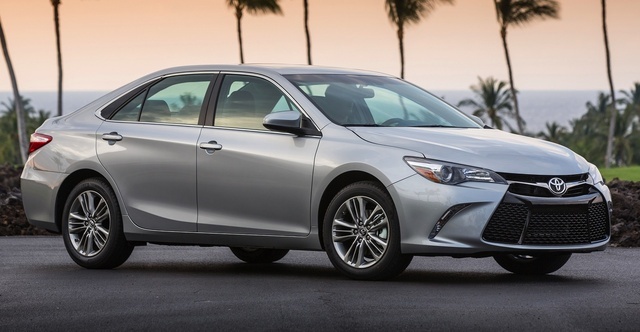 Thanks to new styling that exhibits real style, an upgraded interior, expanded infotainment and safety technologies, and other improvements, the new 2015 Camry appeals to a midsize sedan buyer’s emotions almost as much as it does his or her rationality. A part of the recipe is still missing, though, and that’s a genuinely pleasurable driving experience. The Toyota Camry and I, we go way back. When I was 18, my second hand-me-down car was a light blue metallic 1989 Camry with a blue-everything interior, and I drove it on and off for more than 10 years until my dad finally sold it. I still have fond memories of that car and all the adventures we took together, along with the decade of trouble-free ownership. More important, it was a huge step above the crappy old Toyota Corolla that had been my steed until it was T-boned at an intersection and declared a complete loss. My parents still own a Camry based on their mostly positive experience with Ol’ Blue. They aren’t alone. A heritage of dependability and reliability is how the Camry became such a powerhouse, now in competition with only the Honda Accord for the crown of the bestselling car in America. So it was with much interest, more so than perhaps most automotive journalists would bring to one of the most important cars in the marketplace, that I reviewed the dramatically restyled 2015 Toyota Camry. I’ve found that aside from the nameplate, and despite the fact that it’s still a 5-passenger family sedan (although I’m a little ashamed to admit that sometimes Ol’ Blue carried up to eight), the current Camry bears little resemblance to my affectionately recalled ’89 model. That was basic transportation. This is a powerful sedan packed with technology. Granted, my Camry XSE V6 test car was loaded with all the extras. You don’t need to spend almost $35,000 to get a Camry, as Toyota sells this car in three other trim levels including the standard LE, the sporty SE and the upscale XLE. 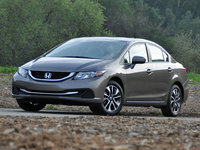 For people concerned about maximizing fuel economy, hybrid-powered versions of those latter three models are available. The Camry LE starts at $23,795 including a reasonable $825 destination charge, rides on 16-inch steel wheels with plastic wheel covers and has cloth upholstery. Beyond these basics, the Camry LE includes automatic headlights, power heated mirrors, a rear-view camera, air conditioning, power windows, power door locks with remote entry, cruise control, a tilt/telescopic steering wheel, an 8-way power driver’s seat, a 60/40-split folding rear seat and an exterior temperature display. Toyota also includes a voice-recognition touchscreen infotainment system with Bluetooth connectivity, a USB 2.0 port and a 6-speaker sound system. Opt for the more athletically tuned Camry SE ($24,665) for 17-inch alloy wheels, a sport-tuned suspension, strut tower and trunk braces, upgraded sport fabric with SofTex leatherette bolsters, a leather-wrapped steering wheel with paddle shifters, Optitron instrumentation, and unique design and trim details inside and out. You can add a sunroof to the LE and SE, while an Entune Plus package adds satellite and HD radio. Ordering the Camry XSE ($26,975) supplies SE equipment along with LED running lights, 18-inch alloy wheels, more aggressive rubber, dual-zone automatic climate control with rear air vents, and an upgraded infotainment system with HD Radio, HD traffic and HD weather. Heated front seats with fatter bolstering and special Ultrasuede inserts and real leather bolstering are also included for the XSE model. The luxury-oriented Camry XLE ($26,975) is just like the Camry XSE but it swaps out the performance suspension, sporty styling cues, Ultrasuede seat inserts, and 18-inch wheels and tires for 17-inch Super Chrome alloys, a softer ride quality, full leather upholstery and fake wood interior trim. A more powerful V6 engine is optional for the XSE and XLE. In addition to the 3.5-liter V6, these versions of the Camry include LED headlights, acoustic windshield glass for a quieter cabin, dual chrome-tipped exhaust outlets, Smart Key passive entry with push-button engine start, an auto-dimming rear-view mirror, a universal home remote control, a power sunroof and a wireless smartphone charger. The XSE V6 and XLE V6 models also have a standard premium infotainment system with a larger 7-inch touchscreen, a navigation system and Toyota’s Entune App Suite technology. In this critical midsize sedan segment, in which success is measured by the hundreds of thousands units moved, you’ve got to be fleet of foot to remain competitive. That’s why Toyota drastically restyled the Camry this year, while simultaneously upgrading the interior. As a result, my loaded Camry XSE V6, in Attitude Black with a Black interior, looked more appealing than recent versions, appearing more assertive, sleek and attractive than before, with hindquarters that resemble its loftier cousin, the Lexus ES 350. 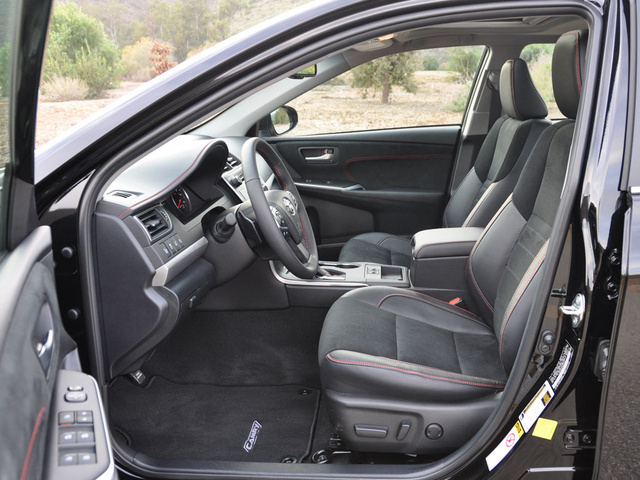 Inside, Toyota successfully addresses complaints about the previous model’s lackluster cabin. Overall, this is a far more stylish car than it has been in a long time. I drove Ol’ Blue well before I even knew there was such a career as automotive journalism, but I remember using the phrase “light and airy” to describe how it felt to drive it. In comparison, the 2015 Camry feels more like a rocket, its robust and brawny 268-hp, 3.5-liter V6 engine providing plenty of power for zooming away from intersections, blasting down freeway on-ramps and blitzing up the side of a mountain. A 6-speed automatic transmission with paddle shifters complements the V6 engine, and the XSE shifts quickly and precisely. When activated, a Sport mode holds gears longer, too. Independent sources have determined that a Camry with a V6 engine is one of the quickest family sedans, able to rip from rest to 60 mph in about 6.2 seconds. What’s even more impressive, I averaged 22.9 mpg while regularly exercising the engine’s thrilling acceleration, falling short of the 25 mpg the EPA suggests I should’ve gotten with this car. 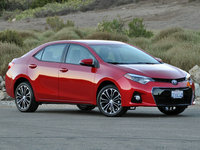 As fast as the Camry goes, it's no sport sedan, no matter what the most recent advertisements for the car might claim. From behind the wheel of this Toyota, you get the sense that Camry drivers would prefer to be just about anywhere other than on a long road trip that includes scenic, twisty roads, let alone trying to derive even a modicum of entertainment during the daily commute. So most versions of the Camry isolate their drivers from the road, offering a quiet, comforting environment in which to enjoy music and forget about the world outside until you reach your destination. Good thing, then, that these traits are exactly what many people want in a new 4-door family sedan. 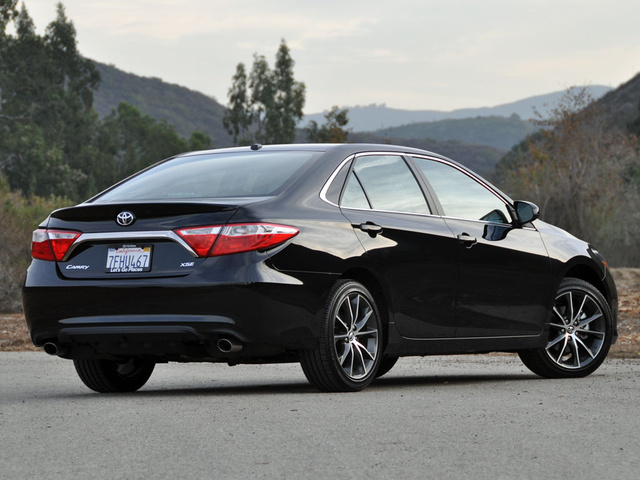 If that doesn’t describe you, the Camry XSE’s stiffer suspension and lower-profile tires are a requirement. The upgrades do a good job of controlling body roll while transmitting additional surface detail, but I still felt like my test car wallowed too much over larger dips and bumps. The worst thing about driving this car, though, related to brake pedal feel. Mushy and difficult to modulate, it took more acclimation time than is acceptable before I could stop the car smoothly and with confidence. Let me put it this way: Leave some room. While less than perfect, it must be noted that the 2015 Camry driving experience is improved over that of the last version of the car, so that’s something. Slide into the Camry’s driver’s seat and you’ll find a well-designed cabin with clearly labeled center-stack controls employing large knobs and big buttons, all set within an attractive dashboard. However, look closer and it's easy to find where Toyota saved money, the evidence demonstrated by inconsistent finishes and cheap-feeling plastics overlaid with more premium materials. While the automaker can get away with this in a Camry LE, where shoddy detail execution is easier to forgive, these same cut corners are more glaring in a car wearing a price tag of almost $35,000. What magnifies the issue is that I’ve had trouble finding similarly inexpensive looking or feeling parts inside of the Honda Accord or Hyundai Sonata. The Camry’s driver’s seat, though, provides a great perch from which to pilot the vehicle. The passenger seat isn’t height adjustable, an omission about which I usually complain, but the seat is mounted high enough that it wasn’t an issue. Upper door panel trim is soft, and the center console padding is nice and plush, too. Open it up to find plenty of storage space, as well as a phone-charging tray. For some reason, when it comes to the Camry, I always find forward visibility less than ideal. To me, the windshield pillars seem inordinately thick and the rear-view mirror appears to be big and mounted too low on the windshield. My husband doesn’t have this problem, however. 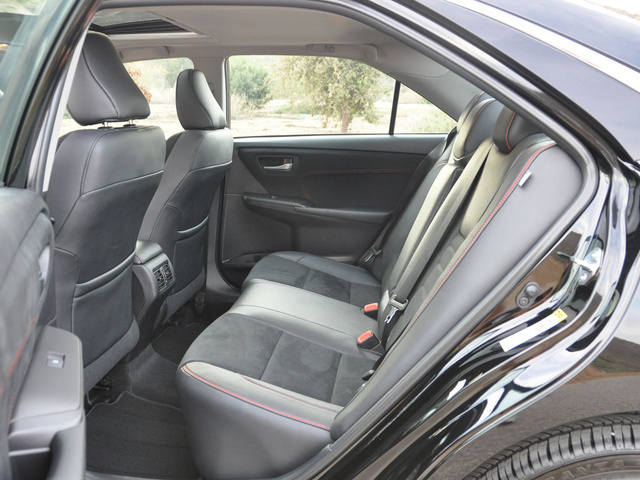 Rear-seat passengers get plenty of room, the seat cushion delivering good thigh support. In my Camry XSE test car, a center armrest contained two cupholders for my children to use, and installing a forward-facing child safety seat was no trouble at all. My older child, now in a booster seat, required no assistance to securely snap her seatbelt into place. As far as cargo capacity is concerned, the Camry’s trunk measures 15.4 cubic feet, which is right in line with most other family vehicles. And trunk room expands when using the 60/40-split folding rear seats. For 2015, the Camry includes a standard 6.1-inch touchscreen infotainment system with a USB 2.0 port, and in all but the LE model, it can be upgraded to a larger 7-inch screen with a long list of additional features. Highlights include advanced voice recognition, HD Radio, HD predictive traffic, Doppler weather radar overlay display, and a cache radio function, a new feature that lets a driver pause a live or satellite radio broadcast in order to take a phone call, then continue listening to the broadcast. Toyota’s Entune App Suite grants you access to a variety of apps once you’ve synced your smartphone to the system. Another cool new feature is a convenient Qi (chee) wireless smartphone charging system. Thanks to resonant inductive coupling, a type of inductive electrical power transfer, this system juices up your phone’s battery merely by placing it on the provided charging platform. Your device does, however, require the right receiver to work with this technology. As far as the upgraded Entune App Suite version of the Camry’s infotainment system goes, I wished for an even larger screen with improved touch responsiveness, similar to the next-generation version of the technology that’s offered in the 2015 Toyota Sienna. The voice activation worked well, though, and the navigation system was easy to use. What my test car lacked, because the technology is inexplicably reserved only for the Camry XLE, was Toyota’s Safety Connect service. Safety Connect is free for one year and automatically notifies authorities following a crash in order to speed rescuers to the scene. Additionally, the system provides access to emergency assistance and roadside assistance and includes a stolen vehicle locator. Seriously, how tough is it to include this for other versions of the Camry? My Camry XSE test vehicle did have vital active safety features like blind-spot monitoring and cross-traffic alert. It also sported the Advanced Technology package, which includes lane-departure warning, adaptive cruise control, a pre-collision warning and braking system, and automatic high-beam headlight control. The lane-departure system bleats loudly and insistently enough to be intrusive, encouraging me to regularly shut it off. In terms of crash testing, the 2015 Camry earns a mix of 4- and 5-star ratings from the National Highway Traffic Safety Administration (NHTSA), but gets an overall rating of 5 stars. The Insurance Institute for Highway Safety (IIHS) gives the new Camry a Top Safety Pick commendation, and says the car’s available pre-collision warning and braking system delivers “Advanced” levels of crash-avoidance capability. If a Toyota Camry doesn’t push many of a driver’s pleasure buttons, it sure does put a smile on an owner’s face when it comes to operating expenses. From its top quality, reliability and dependability predictions from J.D. Power and Consumer Reports to its strong resale values and low cost of ownership, buying a Camry represents good financial sense. Plus, scheduled maintenance is free for the first 2 years or 25,000 miles of travel. Beyond these considerations, though, the Camry is the best-selling car in the country when you factor in sales to consumers, rental-car agencies and other business and government entities. Toyota is 100 percent disinterested in losing that claim to the second-place Honda Accord or to the upstart Ford Fusion, so the company always makes sure it's offering sweet lease deals, attractive rebates and low-interest financing in order to entice people to seal the deal. Because of this, buying a Camry is both easy and smart. You just might not be all that excited about it. 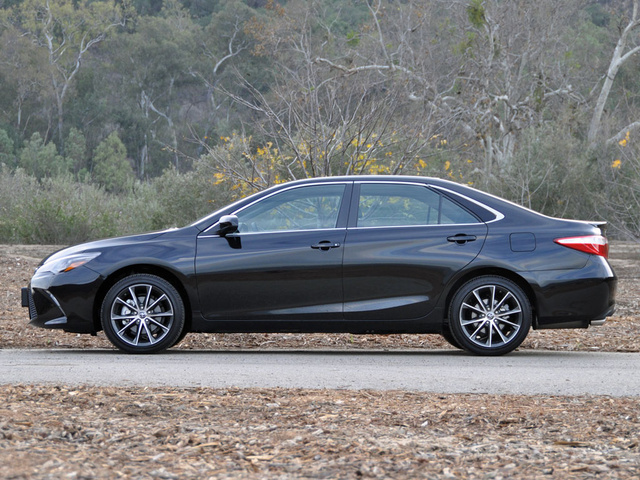 What's your take on the 2015 Toyota Camry? 15toycamry Just traded in my 2006 Camry with 205,000 miles.on a 2015 Camry LE. Other than regular maintenance I only had to replace a right side wheel bearing on the 2006. I have had the 2015 about a week and love it. Filled up for the first time today go 30.6 MPG around town! I also own a Landcruiser and a Tacoma. Right now Toyota is the only brand I would buy. JRNipper Never owned a "foreign" car but after getting the shaft from Ford I decided I would never buy another "American" car ever again. So I bought a new 2015 Camry and I love it. My wife bought a Toyota Tacoma Prerunner truck new in 2000, we still have it, has megamiles on it AND it's never been in the shop for any repairs. Seeing the quality Toyota puts in their vehicles I was more than delighted to buy the Camry. 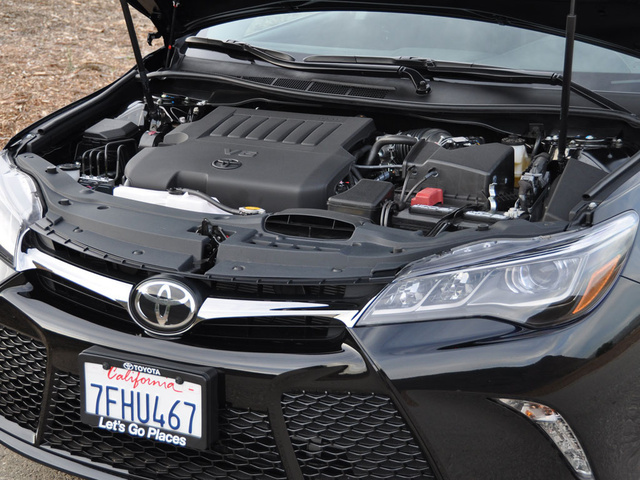 Now, here's the funny part...the 2015 Camry is the most "American" car on the road with 75% domestic parts. All Ford, GM and Chrysler cars are less domestic than the Camry, so now I feel even better about the purchase. 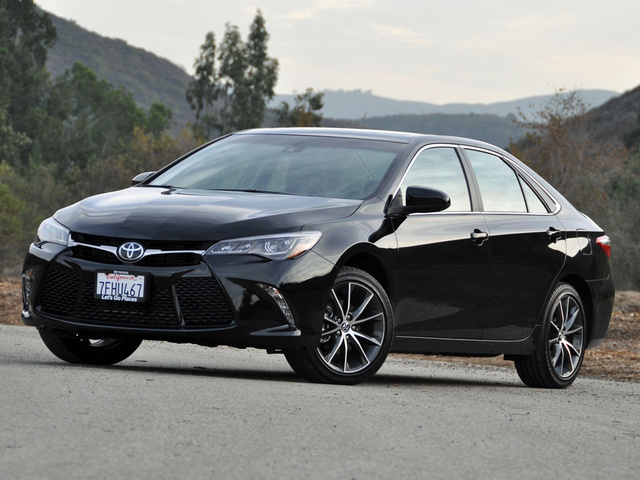 Users ranked 2015 Toyota Camry against other cars which they drove/owned. Each ranking was based on 9 categories. Here is the summary of top rankings. Have you driven a 2015 Toyota Camry? Can you find me a 2015 or 2016 Hybrid Camry, any trim level, in Gatineau - Ottawa region? When I drive my car, sometimes it will pull really hard to either the left or right. but I will turn it off and on again and it will drive straight again. possibly a sensor?